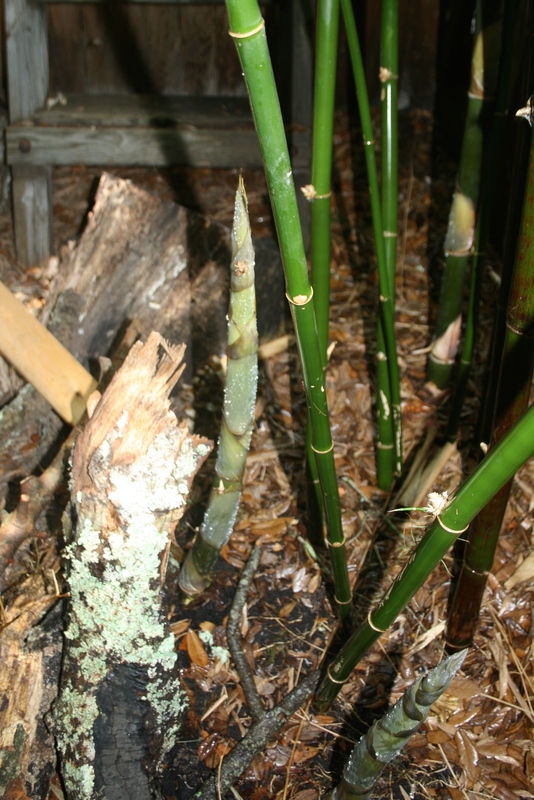 Watering bamboo, watering a particular bamboo called bambussa oldhimi, a giant timber bamboo densely foliated, brought my attention to three new bamboo culms coming out of the ground. At first, I was a little put off that they were not straight and erect but on closer inspection I saw that this was a product of their confined growing space; that what was really happening was that these plants, in a premeditative manner, had redirected their preordained projection that would have them soon towering above my house. They will tower nonetheless but at their launch pad will be signs of intelligent life. 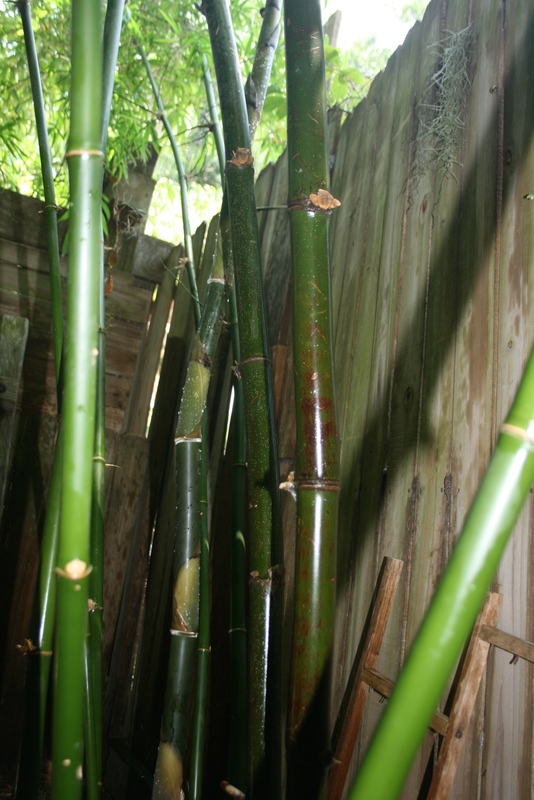 That as the life forces was thrusting them at slow action paced skyward, the bamboo shoots themselves made incremental adjustments to slant off what was too near. The writer Michael Pollan explains: That plants have analagous structures; that they have ways of taking all the sensory data they gather in their everyday lives … integrate it and then behave in an appropriate way in response. And they do this without brains, which, in a way, is what’s incredible about it, because we automatically assume you need a brain to process information. He goes on to says that plants have all the same senses as humans, and then some. In addition to hearing, taste, for example, they can sense gravity, the presence of water, or even feel that an obstruction is in the way of its roots, before coming into contact with it. 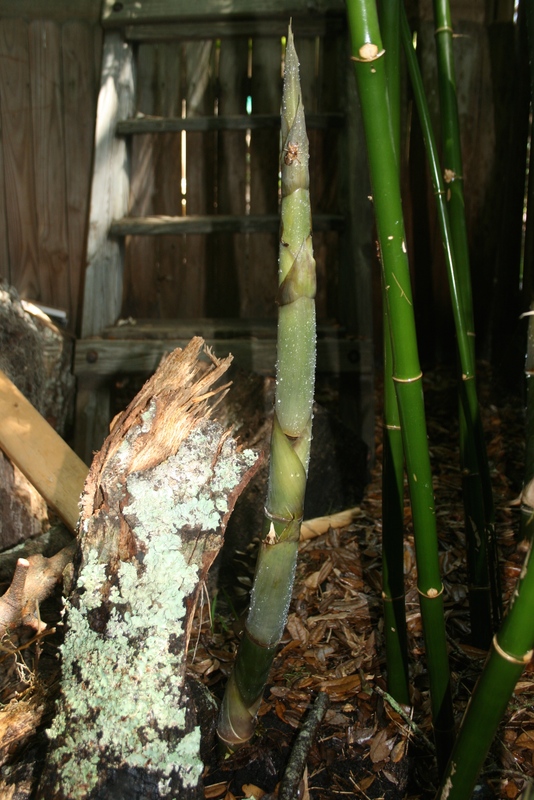 Plant roots will shift direction, he says, to avoid obstacles. ← Is art dead or the feelings that formerly inspired art?